Babywatcher is the complete baby monitor app that will allow you to fully relax when your baby is sleeping - for FREE! It has several smart features and an easy to grasp interface. Use it for instance at dinner parties, when you're in the garden or when the baby is sleeping upstairs. Babywatcher makes sure that you have full control of your baby while sleeping and it costs you nothing! 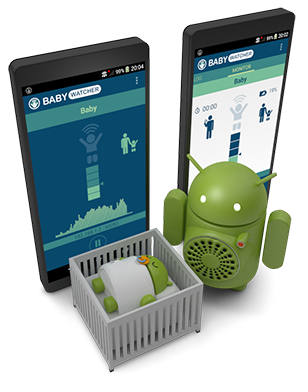 Babywatcher is a full featured baby monitor with all there is to it and even more! It connects by using the normal WiFi network and works in the background of your device. It alerts you as soon as your baby makes a noise. You need two devices. One will work as the watcher device, which should be kept with the parent. The other one will act as the baby device, which should be placed close to the baby. The baby device is intended to be put close to your sleeping baby. It will act as a noise sensor and will securely surveil your baby's sleep. If the baby device receives a call or a text it will be forwarded to the watcher device without disturbing your baby. The watcher device is your interface with the baby. It hides in the background so that you can use your device normally without unnecessary disturbance. Yet it will alert you as soon as your baby makes a noise. It is also easy to access the app from the notification bar if you want to check on your baby manually. 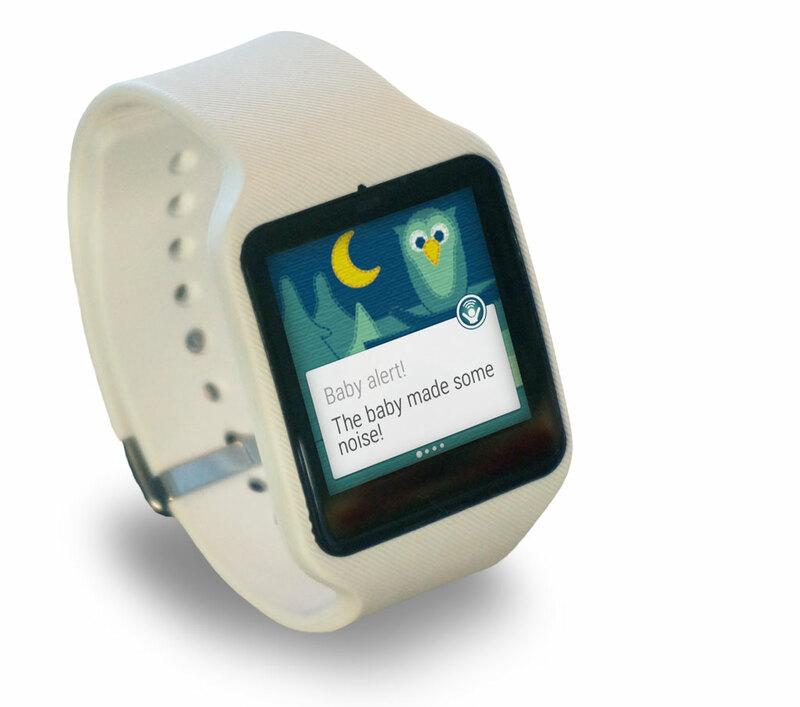 Babywatcher now support Android Wear devices. Your smartwatch helps you get the attention of the baby even better! Wizard to ease the setup. Automatic detection of baby devices on the Wifi network. WiFi connection with seamless reconnection. Logging of events from the baby crib. Forward calls or SMSs to the baby device to the parent device. Battery and status information from the baby device. Listen to the baby at any time by clicking the listen button. Pause the monitor from parent or baby device while you are soothing your baby. The sound indicators shows you if there is any sound and at what level. Set a custom name of your baby to easily find your baby device on the WiFi! Remote trigger level setting, so you don't have to disturb the baby when updating your settings. Widely configurable with options for customizing dialogs, mic level, baby name and so forth. These are just some examples of what the app can do. The list is intended to grow in the near future! Please feel free to contact us with all your questions and feedback! We will gladly have all your input! Tell your friends about it and don't forget to rate the application! This app is developed as a hobby project with a lot of time and effort invested! Please, feel free to click the donate button below so we can buy more devices to test against or maybe put some extra effort in to your suggested feature!